Speaking of versatility, then I want you to take a look at the denim vest that is a great cover-up addition to any woman. This staple is meant for updating classic outfits making them look more stylish and keeping us warm. I personally love this clothing piece for an original look that can be long as a trench vest or cropped. The trench-look design has a simple yet very original appearance. If it's quite hot outside, then you probably should go for a cropped version that is great for covering your casual, street style basics. Try wearing these denim cover-ups with your favorite clothing. Try them on with a maxi skirt. This look will add a laidback touch that is both boho and vintage inspired.Try it on atop dress or with a tank top. I personally felt in love with distressed designs that are great for making a punk inspired touch. Let me know what is your favorite look. There is kind glamour grunge touch in this look. I love the way denim vest is paired with sheer elongated, sleeveless cream blouse, short black shorts and black tights tucked in combat boots. 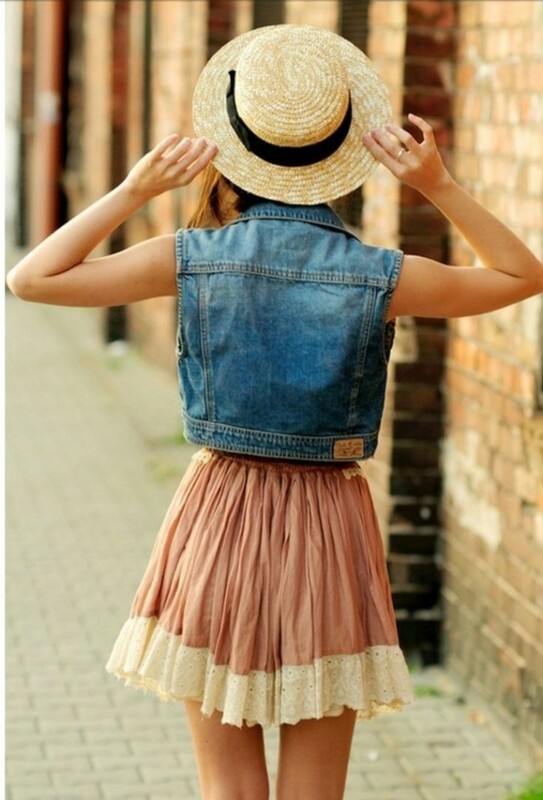 Keep it boho inspired by wearing denim piece with black tank top and maxi floral skirt. How about an urban, sporty look? 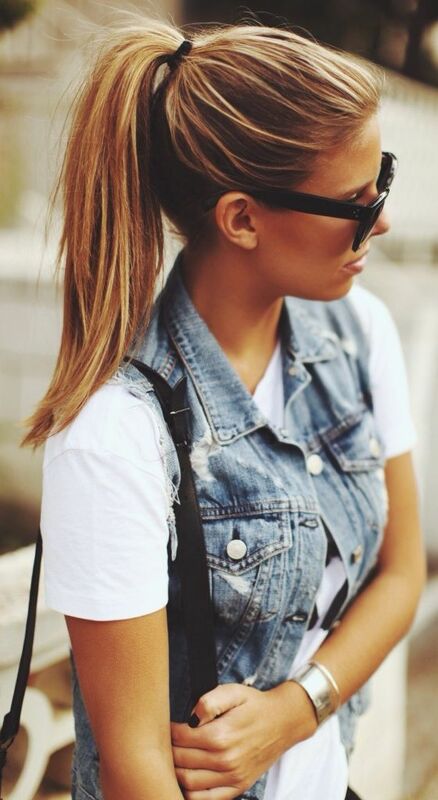 Here we see a jean vest worn atop white tank and paired with black, glossy leggings and cool, white trainers. If it's chilly outside, then try is on as a cover up that can be styled with a chunky knit sweater, skinnies and cool bootie sandals. There is a cool chance to try it on with a white lace ensemble making a sweet summer look. How about teaming it with a striped, long-sleeve top and stylish black cut-offs. That's an elongated vest that looks like a coat to me. Try it on with cool combat lace-up sandals. Rihanna appears in a washed grunge vest worn atop crop top and ripped, white slim-fit jeans.